A few weeks ago we told you about a film called N'kisi Concorde that was being shown at the Freep Film Festival. The film tells the story of two Detroit artists with huge art installations that the public can experience everyday. One of the artists is Dmytro Szylak, the man behind Hamtramck's Disneyland, and the other is Olayami Dabls of the African Bead Museum. Check out the trailer below. Well, if you missed the Freep showing, you have a chance to check this film out again. Playground Detroit is hosting a private screening of N'kisi Concorde at The Carr Center in Detroit. This screening is part of a series being called Selections + Selectors. After the film there will be a conversation about art in the public space, with a panel featuring Olayami Dabls and other distinguished members of the Detroit art community. There will also be cocktails at the event, as well as music provided by DJ Lady Fantastic of Nothing Elegant. Tickets for the Playground Detroit Screening of N'kisi Concorde are $15 at the door or you can get presale tickets here for $10. Doors are set to open at 6:30 p.m. with the film beginning at 7:30. The Carr Center is located at 311 E. Grand River in Detroit. For more information on this event click here. 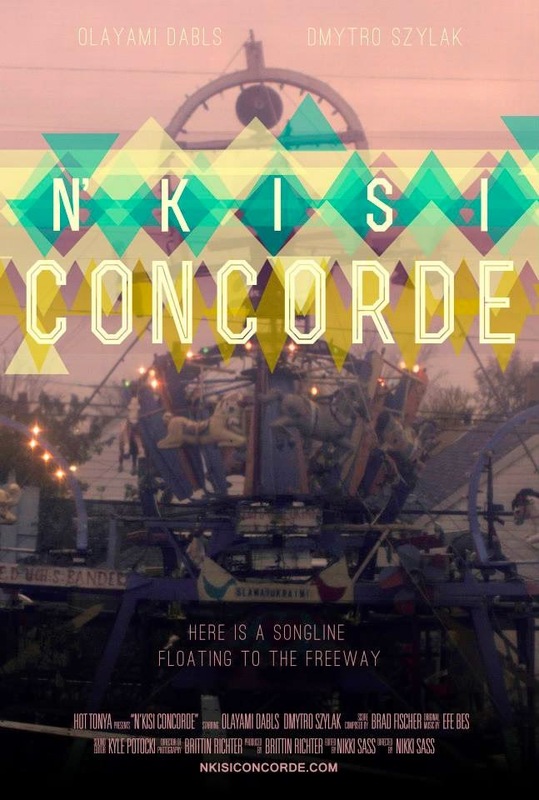 To learn more about N'kisi Concorde, check out our interview with the film's creators here.